WHAT IS THE TRUE SITUATION OF PRESIDENT OBAMA? Note by Nancy: 2012 is a year like no other in the history of Earth—it is the year of ascension into higher consciousness. Politics as we have known it will no longer exist … life as we have known it will no longer exist. This is a year in which thousands are working with the Ascended Masters and our Galactic Family to bring about this transition. The Bible is packed with stories of cooperative efforts between Earth humans and higher beings. We could not accomplish this transition without their help. Steve offers a reminder of what the higher beings have to say. After what seems like a year of tying down American news programs with constant coverage of the Republican leadership race, probably very few people are interested in contemporary politics at the moment. That interest may drop further when we consider that we are allegedly a short time away from new and uncorrupted political administrations coming to power in many countries. It has been said that President Barack Obama will be leading the U.S. into the New Age and so it seems a good idea to check in with our sources and see whether they still support the President. Many insider commentators currently say that he reports to “Daddy” Bush, has illegally amassed a fortune, debased himself by acceding to the defense authorization bill, and so on. What do the celestials, ascended masters, and galactics that we listen to say about him these days? Matthew Ward devoted a great deal of space to the subject of the President in his Jan. 2012 message. He began by affirming the high regard the President is held in and then turned his attention to the defense authorization bill. “Some doubt that Barack Obama is the highly evolved light being that we and other messengers in high stations have told you he is, and he is perceived as following in the footsteps of the Illuminati. You will see for yourselves the truth of what we have said, but because his role in your world is of paramount importance, we shall speak about his position vs the Illuminati agenda. Why would anyone lacking knowledge of the coming Golden Age believe that there are no grounds to worry about the efforts of the cabal at the moment to incarcerate Americans or extend Internet surveillance? Most people are deeply concerned about these trends and relatively few read Matthew Ward. Matthew tells us that “at one time Obama had the staunch backing of some individuals in one of the two factions within the Rockefeller group of the Illuminati.” He says that Barack Obama could not have become President without the backing of the Illuminati. In his August 2011 message, Matthew revealed what a price President Obama had paid for playing his role. 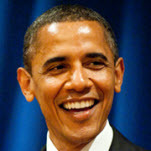 He sent a private message to Austrian lightworker Russ Michael saying that too many people believe the lies about Obama. “Repeatedly I have described Obama’s highly-evolved soul status, spiritual and moral integrity, purpose and intention to help create a peaceful world, and both Hatonn and I have spoken about the powerful and relentless forces Obama has been up against all along. Geoffrey West: I know we’ve talked about this before. I think there are some lightworkers who still have some reservations about President Obama, so I don’t want to spend a lot of time on this. But could maybe you affirm once more for some of our listeners, is Obama still aware and aligned with his divine plan, at this time? Archangel Michael: Yes, he is. Sidetracks include joining in the ruse that Osama bin Laden had been killed in Pakistan in 2011 when the most likely situation was that Osama was killed back in 2001. “Presently we are occupied with the confrontations in the Middle East, and although it is threatening to lead to war, we state again that it will not be allowed to happen. The New World Order will not be allowed to take advantage of any situation that might lead to one, as we can in any event disable weapons if we so wish. You could say that by our very actions, peace has been declared and an end to war in this cycle. I wonder if people get that practically any other leader of a Western nation, put under the same spotlight as Obama, would probably not receive the support of the ascended masters, galactics and celestials – but President Obama does. In this the President stands out among world leaders today. Suzy Ward wrote me last November and said that the President was “totally aware” of the ET presence, but has been asked by the galactics to wait a while longer before acknowledging them so they can clear out the Illuminati from behind a screen of anonymity. This fact should be kept in mind when appraising his government’s response to our petitions. Thus the need to continue the work of dismantling the Illuminati edifice is the reason why the President does not acknowledge the ET presence and he takes that course of action at the request of the galactics. Does that not suggest how little we may know of what is happening behind the scenes and how necessary it is to withhold judgment? So while large numbers of terrestrials have abandoned the President, no one among the Company of Heaven has. Now we are in the accountability phase and the corrupted are being rounded up. On Nov. 14, 2011, SaLuSa advised us that the President could be expected to begin asserting himself soon. SaLuSa repeated that prediction on Jan. 5, 2012. With the fall of the Illuminati now occurring, that time may not be far off. Thus, the President had had to endure Illuminati pressure and even deny the existence of the galactics to serve what Archangel Michael called “bigger plans.” He can be expected to throw off Illuminati constraints once the cabal is rounded up and begin to bring in his actual agenda. NOTE by Nancy: As of 3/11/12, there are 254 resignations from World Banks, Investment Houses, & Money Funds throughout the world. All of these resignations since September 2011. http://americankabuki.blogspot.com.au/p/131-resignations-from-world-banks.html A new economic system is on its way. (3) Matthew’s Messages, 22 Oct. 2008. (4) Matthew’s Message, Aug. 11, 2011. (5) Matthew Ward through Suzy Ward to Russ Michael, June 28, 2011. (8) Suzy Ward to Steve Beckow, Nov. 8, 2011. (9) SaLuSa, Nov. 14, 2011. (10) SaLuSa, Jan. 5, 2011. Filed under: 2012, America, Ascended Masters, Ascension, Barack Obama, Divine Plan, Obama, Our Galactic Family, Politics |	Comments Off on WHAT IS THE TRUE SITUATION OF PRESIDENT OBAMA?